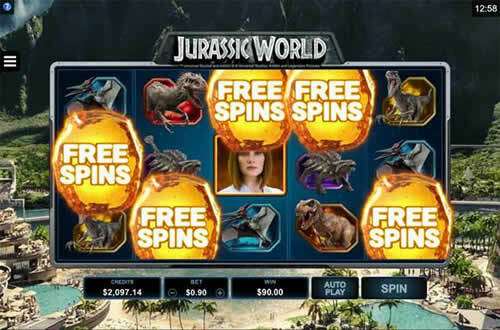 If a casino games developer had to pick a slot title that really demonstrates how his or her craft has become an artform, they wouldn't go wrong with Jurassic World. 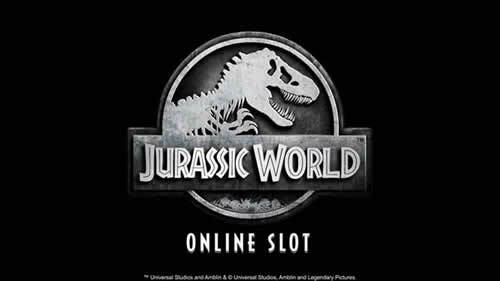 Released by Microgaming in June 2017 as a sequel to Jurassic Park (2014), the slot will arguably be one of the mainstays at online casinos a decade for now. But it's just a slot game, right? Sure it is, and you can feel whatever way you like about playing casino games. However, one would argue that it is one of the very finest examples of video slots, especially in terms of what they can do in terms of graphics and gameplay these days. For that reason, it's worth your attention. Jurassic World is an officially licenced product, meaning it uses real clips and audio from the 2015 smash-hit movie from Universal Pictures. The dinosaurs are used as symbols in the game, but also the stars of the film. So, if staring at pictures of Chris Pratt or Bryce Dallas Howard is your thing, go nuts. Of course, even games featuring the visages of famous actors can get boring after a while, so it's nice to know that the Jurassic World doesn't rely on the aesthetic to sell itself. Indeed, it's the fun and lucrative special features that make this game one of the best in show, and one of the most popular slots at Lucky Casino. For a start, there is the Indominus Rex Feature, with which the antagonist from the movie can appear on screen at any time to boost your winnings by up to 1000 times your total bet. That's quite the attraction for low stakes players, who could see a hefty return for a small wager. But the game's main attraction is the Free Spins Features. There are three in total: Gyrosphere Valley, Creation Lab and Raptor Den. The special win enhancements during each are given names like Multiplier Trail and Cryo Wilds. Without going into all the details, it's enough to know that these features can offer huge payouts in a variety of ways. There is also the matter of the All Ways paylines. The reel set consists of five reels and three rows of symbols. Instead of having traditional paylines, Jurassic World covers every single possibility working left to right across the screen. This means there are 243 ways to win with every spin, as long as the symbols are consecutive from left to right. The good news is that you don't need to bet on every payline like some games, with a $0.30 (£0.30/€0.30) wager enough to activate all lines. Moreover, the game employs stacked symbols, which can cover the entire reels set. This is where those 243 combinations come into play, because each of the lines is paid separately. In theory, one of the features can pay over $6000 for a single spin at the lowest pet of 30 cents. That's pretty hefty for such a small stake. You can, of course, increase the stake up to 40 times that amount if you have the means, so you can do the math of how much a mega payout would be worth. Certainly, all casino games should be enjoyed responsibly. But if you were going to try one, you might as well try one of the best – and Jurassic World is a doozy.